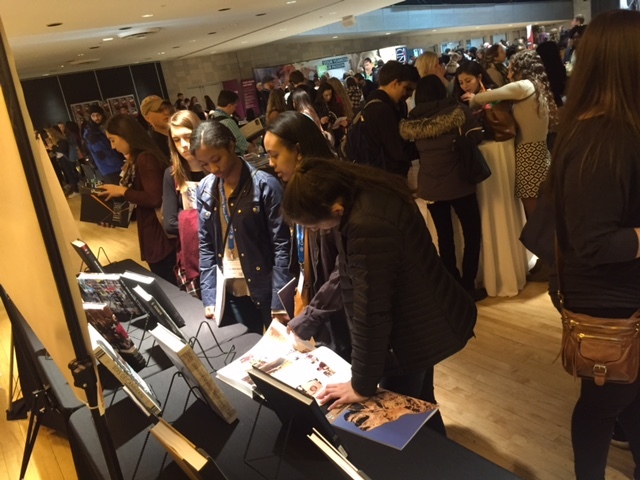 Even as a blizzard hit much of the Northeast on Tuesday, dumping snow on New York City, the Columbia Scholastic Press Association (CSPA) announced that its annual Spring Convention would proceed this week. For updated convention information, visit the CSPA website at cspa.columbia.edu. For those staffs who are still able to make it to CSPA, Walsworth Yearbooks will be there and will have plenty going on. In the Walsworth Yearbooks booth located in the exhibit hall at Roone Arledge Auditorium in Lerner Hall, Walsworth will have its 2017 President’s Collection yearbooks on display, along with a sample of other great books for staffers to browse through. Ideas can also be generated by flipping through a copy of our newest showcase book – Possibilities, Vol. 7. For fun in the booth, your staff will be able to pose in front of our photo op – a large Times Square backdrop. The educational program of more than 350 sessions will include several Walsworth speakers, and Walsworth will be sponsoring the Speaker and Adviser Hospitality Room.